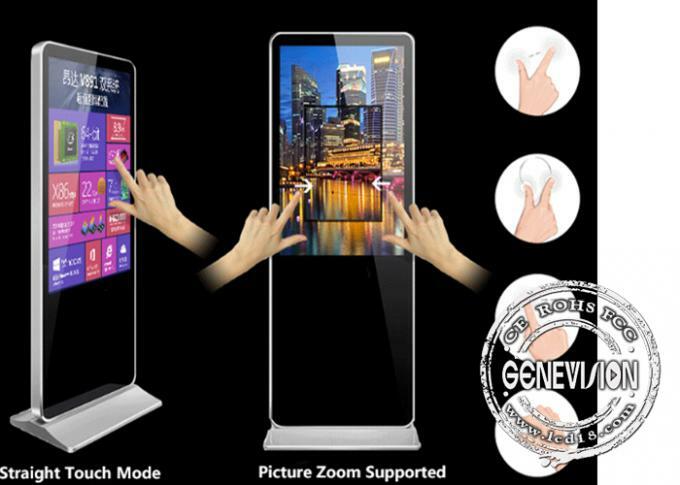 This is a very good progress for LCD advertising industry that capapcitive touch screen is available for floorstanding lcd totem, and also price is much reasonable than years ago, so metal case outlooking can be more and more slim and elegant. Also 4K becomes more and more popular, this item is with LG orignal panel in 4K resolution, also the PCB support 4K video input. Now we have 43inch to 65inch on option. And OS can be Android or Windows or Ubuntu.